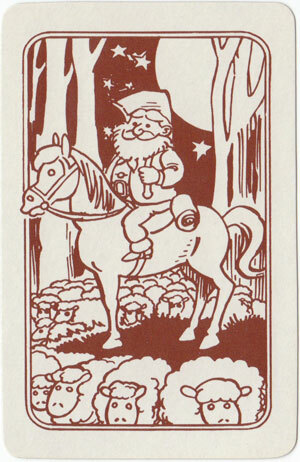 “Drover’s Dilemma” card game from Australia, © 1984 Candle Distribution Co., Bayswater (Australia). 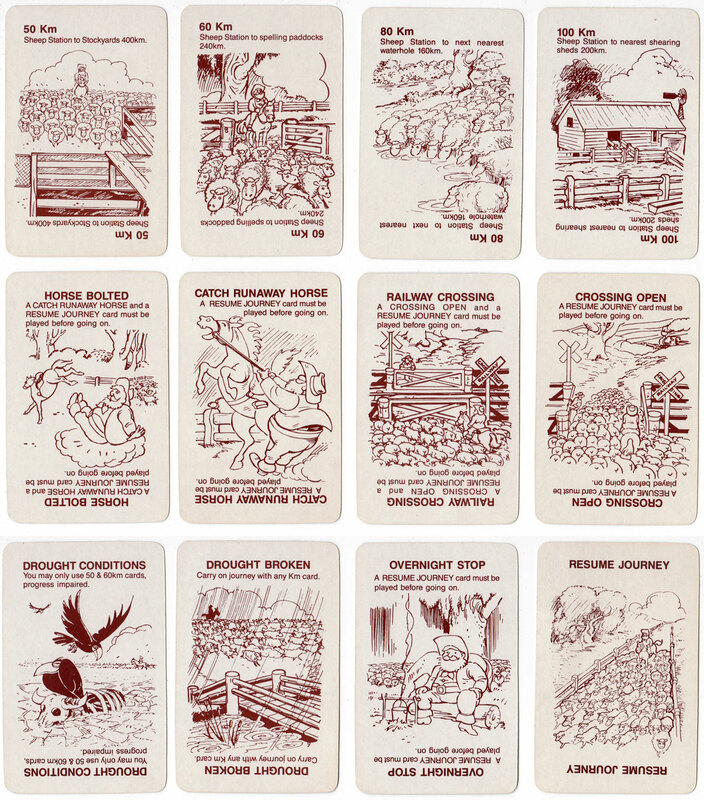 The idea of this unusual card game is to drive your sheep a total of 1000 km as soon as possible whilst overcoming various obstacles, and also to hinder your opposition drovers’ progress as much as possible. 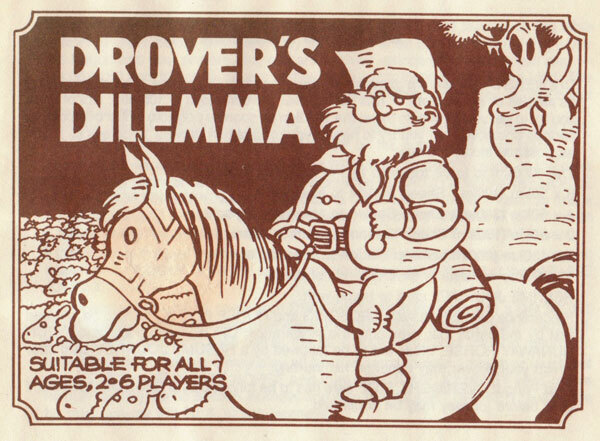 Above: “Drover’s Dilemma” card game from Australia, 1984. The artwork is uncredited. Images courtesy Rex Pitts.